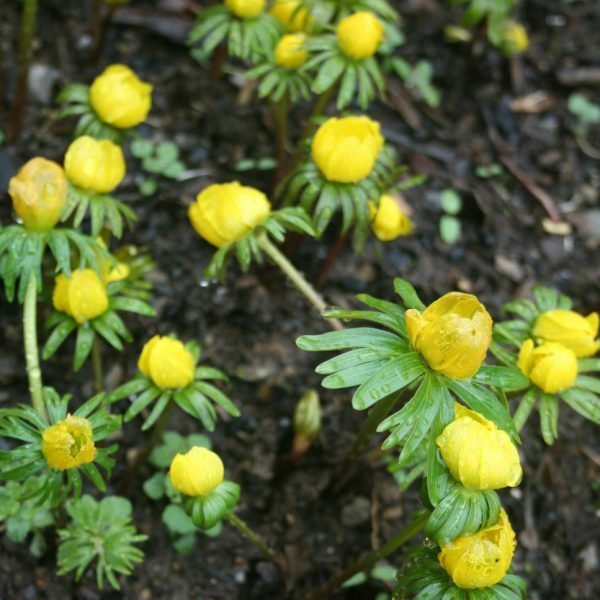 Eranthis cilicica – Another form of Winter Aconite (page 6). Although now considered a subspecies of Eranthis hyemalis, this native of the mountains of Cilicia in Anatolia has striking differences. Its larger golden flowers appear later over a thinner leafed ruff. It naturalises well under trees and shrubs. Freshly lifted before despatch mid Aug-Oct or can also be sent ‘in the green’.